Above: Let's Go Walking: A 27 minute video for children and adults, featuring live performances with music, narration, dance and art. 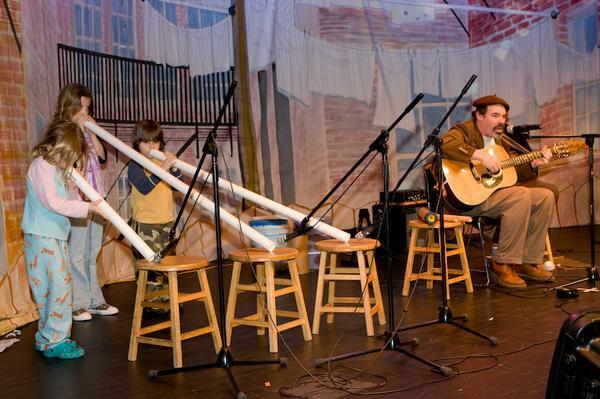 Stephen doesn't always bring a band when he does his interactive performances for children, but he always brings his collection of homemade instruments, and invites members of the audience to become the band. 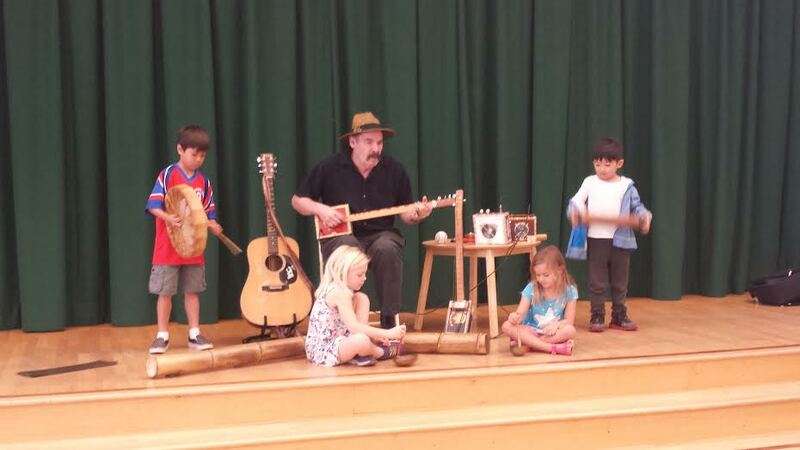 Here he is at the Sandy (Oregon) Library with a wonderful orchestra. 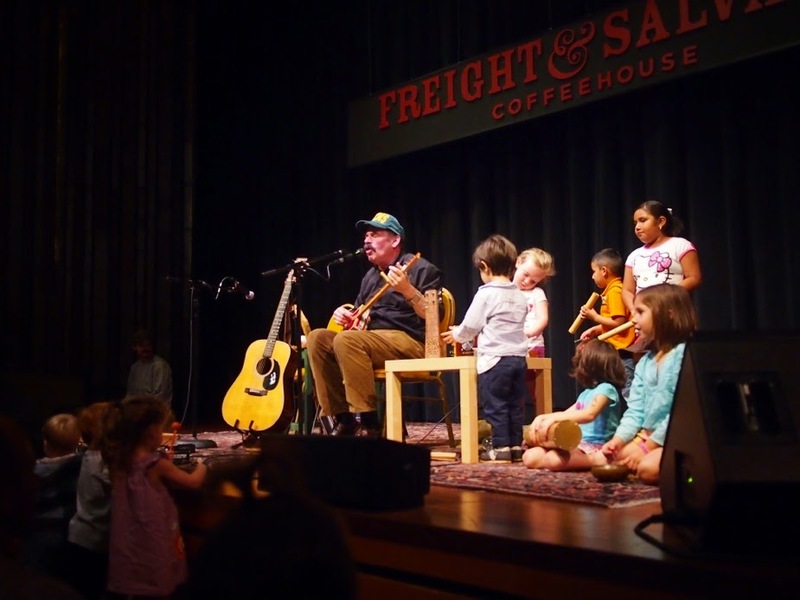 And here he is playing cigar box guitar with a stellar makeshift band at the Freight and Salvage Coffee House in Berkeley, California. Stephen at the Old Church Concert Hall. Who wants to play the drum? An excellent drummer joins Stephen at the Sandy Library. 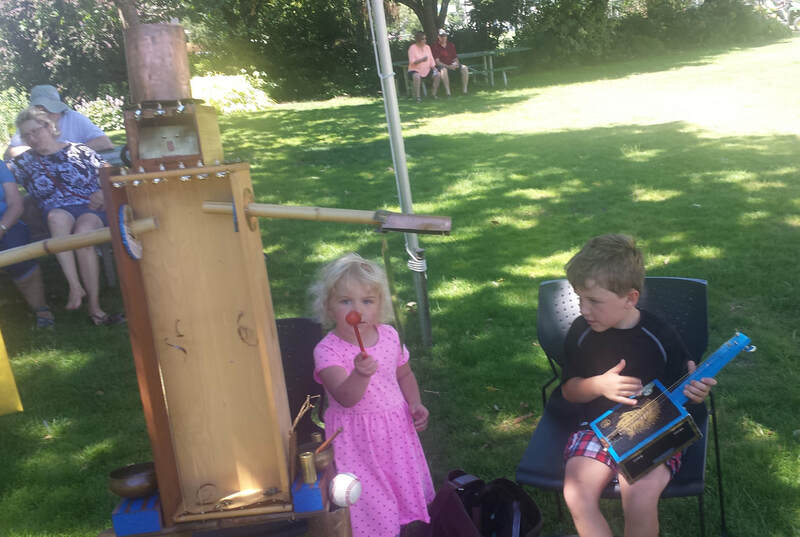 Children playing Stephen's "String King" musical sculpture and his homemade cigar box guitar at the Salem (Oregon) Art Fair in July, 2017. 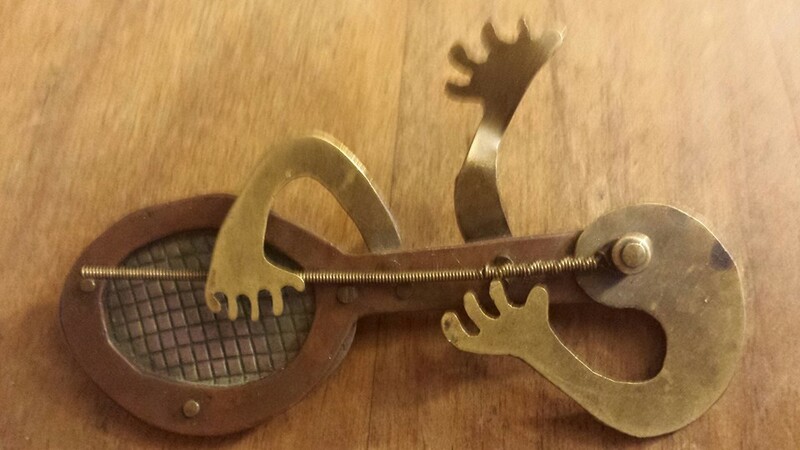 Stephen created "The String King" as an Artist in Residence at the Salem Art Association, using copper, bronze, brass, bamboo, wood, guitar strings, and tuning pegs. 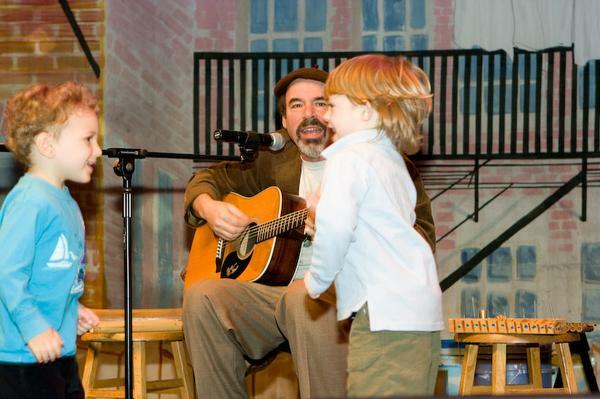 It was featured at the Salem Art Fair, where Stephen displayed and played it, and found it to be a big hit with children. Below: Stephen's Baseball, Baseball video, Below: A music video of Stephen's song, Living with the Animals. 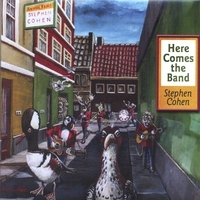 The front cover of Stephen's 2006 nationally acclaimed children's album, Here Comes the Band, which features 14 songs and a booklet with lyrics, stories about each song, activities, instrument making instructions and paintings and drawings by artist Christopher Shotola-Hardt. 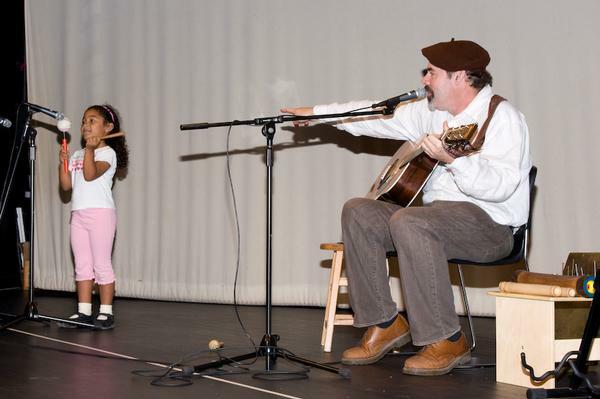 Stephen does his Mr. Knickerbocker dance at the Long Island Children's Museum. 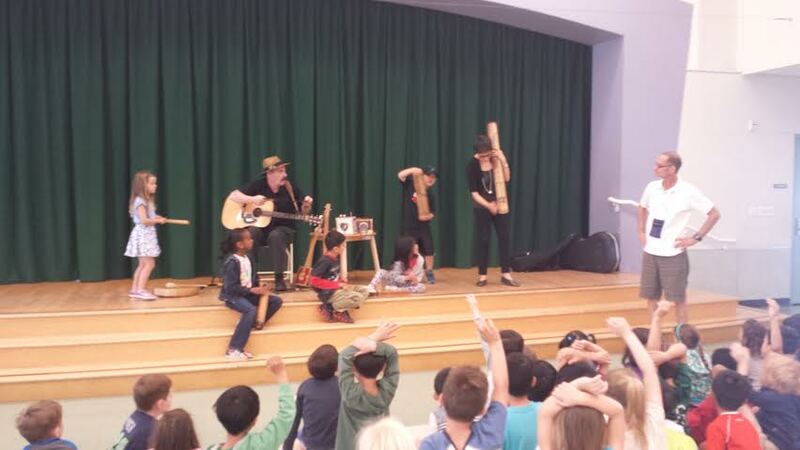 Here is Stephen setting up his rain song orchestra at the Van Meter Elementary School in Los Gatos, California. 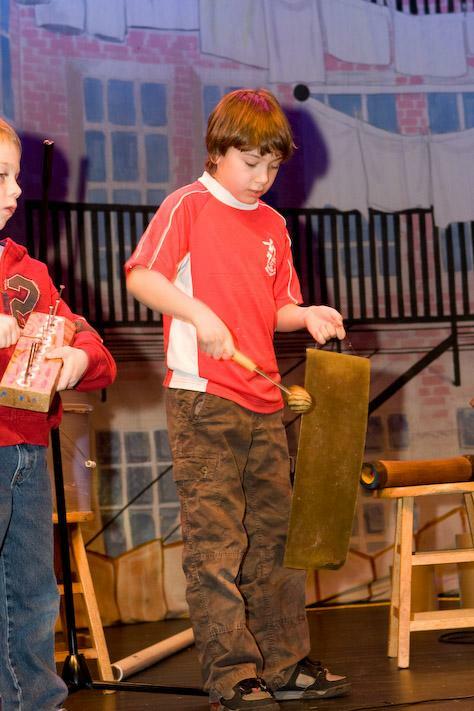 And here is Stephen at that school assembly playing "Ride the Train" on cigar box guitar with a great percussion section.